Merida is a young Scottish princess who would rather have adventures than spend her time learning to be a prim and proper lady. Most of her time are spent on boring lessons, mostly from her Queen mother. What she looks forward to the most are those days when doesn't need to be a princess. When that day comes, she gets on her horse and takes her bow and arrow and rides out until it's time for dinner. On those days where she gets to enjoy, you can just see the difference in her. Her red curls seem more curlier, and her face lights up. She takes pride in what she can do out there, relishes the freedom. But her Queen Mother,Elinor, has other plans for the brave princess. The other clans of their kingdom have been invited to send their sons to compete for Merida's hand in marriage. The idea is repulsive to the young princess, but what can she do? While she ponders this out in the woods, she sees mythical will o' the wisps. These are blue-white flickering orbs that are said to lead travelers astray - to their fate, good or bad. 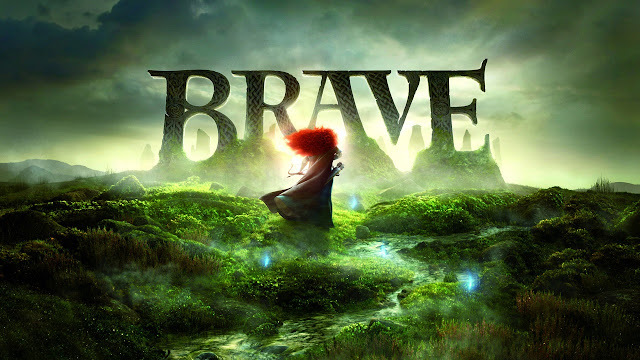 Merida follows them, and sees a way to change her fate. With respect to readers who may have yet to see the film, I'll stop narrating what happens next. So on to my thoughts, shall we? Certainly, Merida isn't the first young woman to ever wonder about seizing her own destiny, and changing her fate. However, there would be a lot more girls wishing they were princess, and I imagine fewer princesses wanting to be just normal girls. I could be wrong though, I do not after all have their life. 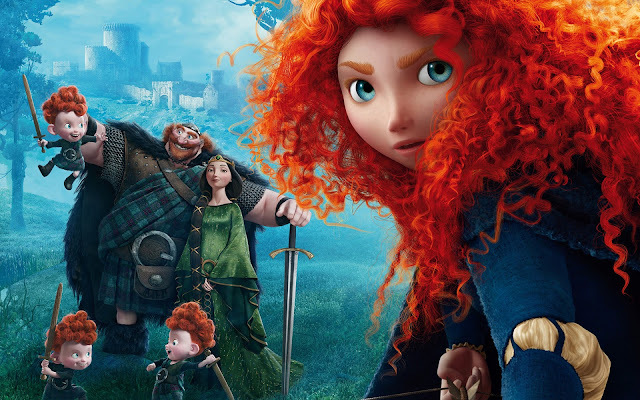 But resisting a betrothal with a young man she hardly knows is just one way that Merida shows spirit. For me, that wasn't even the focal point. She differentiates herself from other Disney princesses because she has a wildness in her. She has her own weapon, and knows how to use it expertly. She rides a horse really well too. And when she realized her mistake, she was willing to make amends, and to do all that it took to make things right. A lot of young people do wrong by their parents, but not everyone owns up to it to even say sorry. Merida more than just said sorry. She stood by her Mum and didn't leave her side in her time of need. She has three little rascals for brothers and they were so cute as little bears too! Haha. It was a bit of a wonder why they were more free than her but then I realized it was because Merida was first-born. I guess in her culture, heir to the throne didn't need to be male, but the eldest child no matter the gender. I wonder what happens in her future. Who will come back to win her heart? Will it even be from among the boys of the clans? No matter though, Merida is in for a life of adventure.